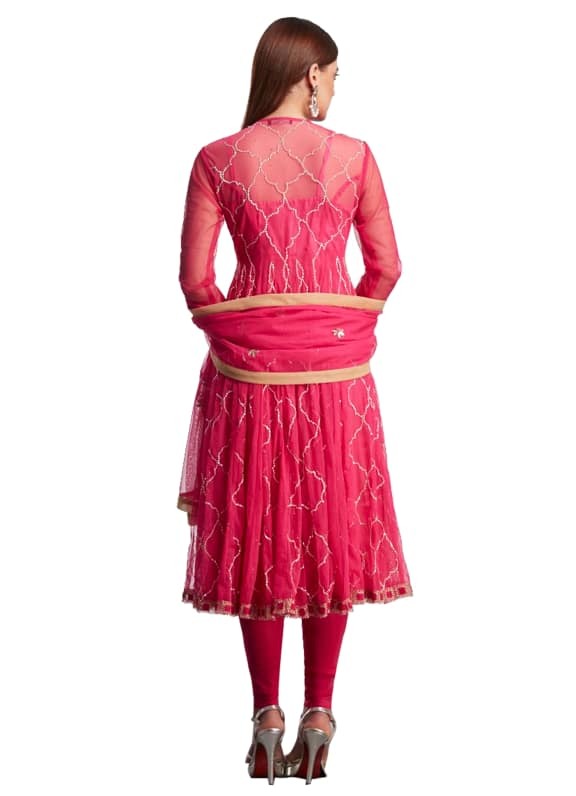 This fuchsia net anarkali has a full silver sequin hand embroidery jaal, with churidar sleeves and a spandex dupatta. This pink and silver anarkali by Rina Dhaka is a stunner. It has a delicate hand embroidered jaal that makes it dressy and elegant. 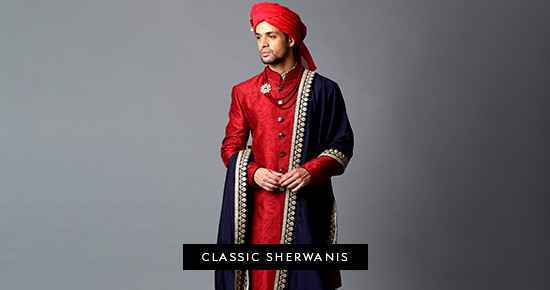 This outfit is ideal for any pre- wedding function. A pair of Kundan and pearl chand balis from Amethyst are a perfect match.